Stuart Murdoch of Belle And Sebastian heard a song in his head one day. It was suited to a girl, so he put out a call for girl singers in a local record shop. He found a handful of fantastic singers, and then started developing a new batch of songs around a movie script. The new band, their debut album and that movie are all called God Help The Girl. That story means very little to me. It’s a curious fact, but this album is lovely without it’s backstory. Murdoch later lamented the boy’s party vibe of the last Belle And Sebastian album, the Life Pursuit. He readdresses that balance here. And stunningly well. Girls. The central dilemma of the pop fanboy. How does Murdoch do it? He wrote every song here on the album, and manages to come up with an amazing point of view. OK, so I’m not a girl, so I don’t know if girls really relate to this. But I see these songs in the girls I know and have known. I really can’t think of another song like I’ll Have To Dance With Cassie. Finally, I understand why girls like dancing with other girls. But who would write a song about that, from such sweet, irony-less compassion? Throughout the album there’s songs about dying hair blond, of the vulnerability of a drug come down, of being contrary – all from a female point of view. It’s a nice little trick. And somehow this album hit me really hard. I’m still listening to it on a regular basis, when so many albums from 2009 have started to fall away. And it’s these girls. These fascinated women. I can’t work them out – I’ve never been able to – but god I find them fascinating. Even though these songs are written by a man. Maybe it’s a Salinger thing. That very classic Salinger ingenue. I see her in Act Of the Apostle – fragile but tough runaway, buying a Guardian newspaper on the train to fit in, coming up with an incredible backstory in case anyone asks. The sunshiney girl who meets the dog on the street, and has an imaginary conversation on If You Could Speak is another great example. Who are these girls? I’d love to meet them, and unravel them. But I know I never will – just like how Seymour and Buddy Glass never could. Something else though. It’s British girls. Young, quirky, tough, beautiful London girls. They come from all over, they a cosmopolitan, yet working class roots. A pretty second hand dress and a pint of beer. A favourite Oasis song and a favourite French New Wave director. She can quite Eastenders and Oliver. The faces of all the crazy, captivating girls I’ve met in London breeze by as this album plays. Finally, all the boxes are ticked in their regular sense. The performances are great. It sounds extraordinary – the detail in the production is best heard on headphones. Those intricate harmonies have to be heard. Who knows about the movie. Or if they will ever do a proper gig. This album is a perfect mystery. God Help the Girl performing God Help the Girl, a track from their album God Help the Girl. First of two such trifectas! 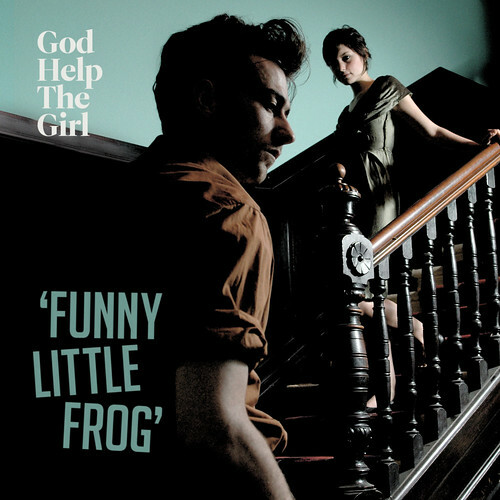 God Help the Girl is the new project by Belle & Sebastian frontman Stuart Murdoch. It has been in the works for quite a few years – in fact it was made concurrently with B&S’s 2006 album the Life Pursuit. The key change here is the vocalists. Murdoch himself said that their last album was lacking a girl vocal. With God Help the Girl, it’s an almost all girl affair. The history goes something like this; Murdoch had some songs that he felt would be better if sung by female singers. So in the modern day and age, he basically put the word out far and wide. A good old fashioned audition process led to a set of new female voices, mostly backed by Belle And Sebastian. It’s a very 21st century way of making an album. The final part of the story has not happened yet, which is a Murdoch penned film which ties all the songs together. It is due to start filming next year. Pretentious? Of course it is. But Murdoch is such a nice, self depreciating guy, it’s tough to hold it against him sometimes. Having been such a long time since the last B&S album, we’re eagerly awaiting this album.